Now optimized for NVIDIA SHIELD with Bloom, HDR, and Custom Blur Shaders! Crowned the best snowboarding game available on the market, Snowboard Party is back to fulfill all your adrenaline needs in this long-awaited sequel. Experience the new time-attack race mode and practice your best tricks in 21 unique locations. 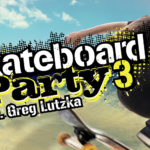 Hop on your board and improve your skills to land sick combos and rack high scores! 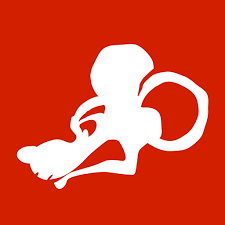 Founded in 2009, Ratrod Studio Inc. is an entertainment software company that specializes in developing and publishing interactive web content and games for a complete range of platforms including mobile devices, PC and console systems. Whether your company is looking to develop a specific title or wish to promote a brand, we will use our creativity and world-class expertise to design and custom-build a solution to suit your needs. Digital marketing and advertising is by far the most cost effective way to get worldwide exposure and reach millions of users. Located in the heart of Gatineau, Quebec, our team includes industry veterans responsible for some of the most successful games ever created. We use a combination of proprietary tools and innovative techniques to boost productivity and product quality while maintaining a low development cost. Ratrod Studio Inc. always stays ahead of the latest technology and industry standards.